Hartford Healthcare at Home is proud to introduce our new person-centered care model. This new model will allow us to continue to deliver quality care in a more integrated model. 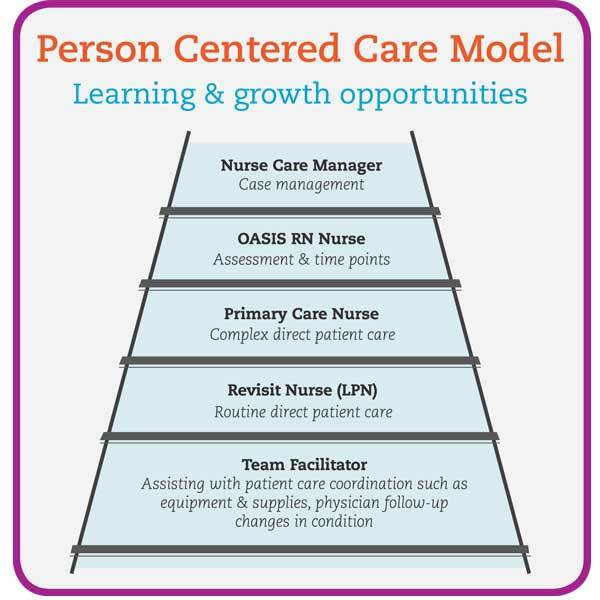 This model allows for greater staff engagement, more integrated patient support and a clinical career path model that allows for career advancement. Hartford HealthCare partners offer competitive salaries and benefits, as well as a stimulating work environment that inspires excellence. Many volunteer opportunities exist throughout Hartford HealthCare. How to apply and more, your employment opportunity questions answered. To learn more about employment opportunities in nursing or rehab at Hartford HealthCare at Home, follow the links on this page, or contact us by phone or email.